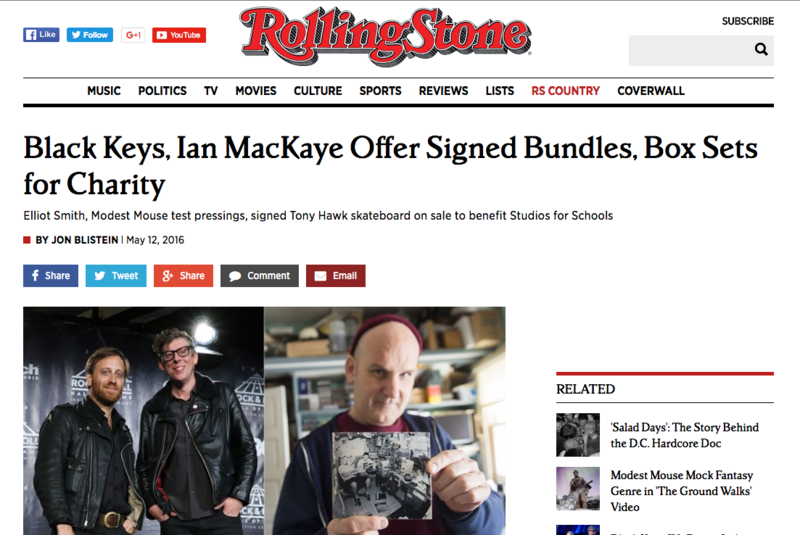 The Black Keys, Ian MacKaye, Modest Mouse and more have donated a variety of items to an eBay charity auction benefiting Studios for Schools, a nonprofit aimed at building recording and production spaces in high schools. The auction also features bundles from the Coathangers and Burger Records, as well as a collection of Elliott Smith singles, a skateboard deck signed by Tony Hawk and 12 pairs of Volcom jeans. Fans can bid on all items now, with the auctions set to close next Tuesday, May 17th. The big prize in the Black Keys pack is a signed vinyl copy of the duo’s 2002 debut, The Big Come Up, though the bundle also boasts CD versions of most of their albums, plus a handful of T-shirts and sweatshirts. MacKaye, meanwhile, has put his signature on a copy of the 20 Years of Dischord box set, which collects highlights from the seminal D.C. punk label’s storied catalog. 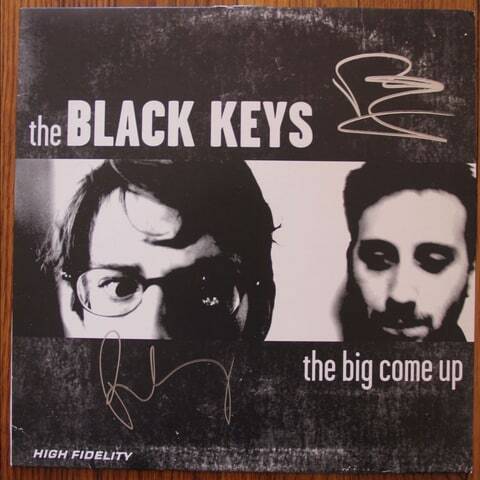 A signed vinyl copy of The Black Keys’ 2002 album, The Big Come Up. A copy of Modest Mouse’s Whenever You See Fit EP, along with a test pressing, is also for sale, as are three Elliott Smith 7-inch singles, one of which is also a test pressing. Atlanta punk outfit the Coathangers have donated packed merch kit, featuring a singed LP of their new album,Nosebleed Weekend, while the prolific punk label Burger Records has compiled a slew of its releases into a starter pack. Studios for Schools was started by Growlers drummer Scott Montoya and his father, Adrian, who have been building a music and film studio at Santiago High School in Garden Grove, California. The project inspired Montoya to start a nonprofit to help fund similar projects in other schools, and launch a scholarship, grant and internship program aimed at helping at-risk students pursue careers in sound engineering and film production.